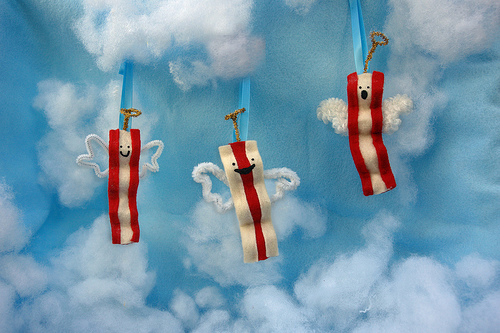 These bacon magnets (and the photo) are from www.sappymoosetree.com, and completely crack me up. I just had to use them to illustrate the fact that I've found further proof that there is, indeed, a Flickr! group for everything. A bacon flickr group? That's interesting. I can't quite figure that out, but I suppose some people can't figure out why we'd post projects or pictures of yarn. I hope my husband never sees these magnets. 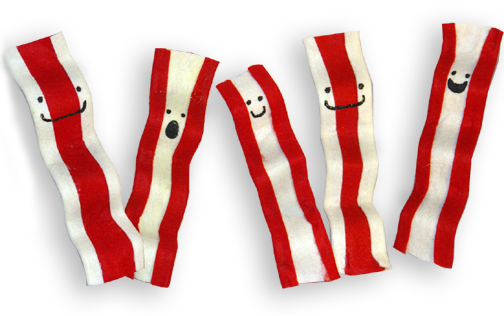 He's a bacon addict and would insist I make them immediately. LOL They are too funny!